NCCHM advocates for its constituency by theological reflection on Hispanic ministry, using current demographic material and producing research reports and new alerts. in communion with the bishops of the United States, supports, provides resources, and assists in the on-going professional development of Hispanic Ministry diocesan staff, in order to facilitate full participation of Hispanics in the mission of the Church and society. The Federation of Pastoral Institutes (FIP) is an organization which brings together national, regional, diocesan and local institutes engaged in the formation and enrichment of the Hispanic people at all levels, in their historical and cultural context. ANDH Su objetivo es Asesorar las necesidades de los diaconos hispanos de los Estados Unidos. 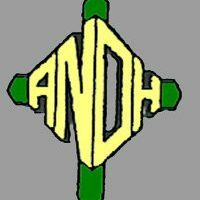 ANDH Asociacion de Religiosas Hispanas en los Estados Unidos. Mujeres consagradas, rostro materno de Dios, enviadas a caminar, acompañar y animar al pueblo de Dios, principalmente el inmigrante Hispano y los más pobres y vulnerables, dando testimonio profético de unidad, alegría y esperanza desde una vida comunitaria orante. FCH Federation for Catechesis with Hispanics. On April 19, 2013, the Forum for Catechesis with Hispanics was approved by the NCCL Board to become the first federation in NCCL. Becoming a federation has been a great accomplishment with many opportunities for learning and growth.